is this any fun? it looks awesome from the pics. It's quite good, but the hand brake is soo broken in this game. I dont have Gamecube version of this game or used emulator but this how looks exclusive cars on that platform. Pablo198989 wrote I dont have Gamecube version of this game or used emulator but this how looks exclusive cars on that platform. 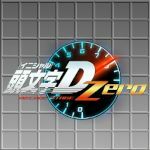 Unlike that website you posted a link to, KC's 4x4 Evo 2 Place requires an account to download tracks and vehicles from there, and my username on KC's 4x4 Evo 2 Place is 4x4EvolutionFan. I will add screenshots of the GameCube-exclusive to this page soon. 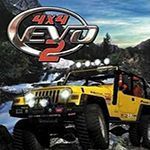 Klumb3r I think that 4x4 Evo 2 was a cross platform compatible game, so they should be same. Oh perfect, thanks for the reply!